Carry Along Caterpillar Toy is rated 3.0 out of 5 by 1. Gently tug on the caterpillar’s tail for a musical surprise. 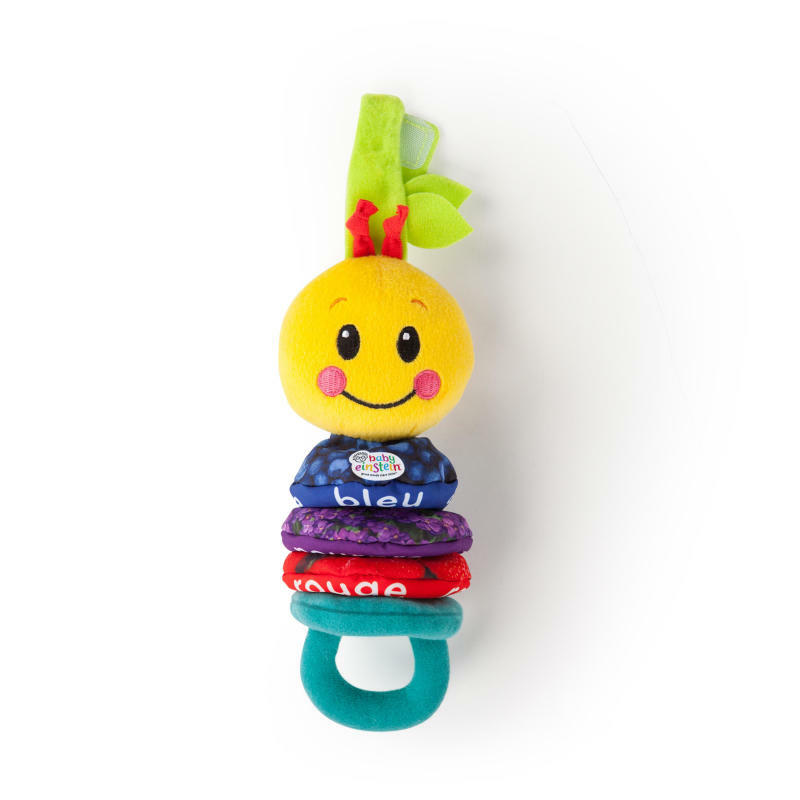 Your little one will love reaching for this colorful Baby Einstein friend. When baby pulls the caterpillar close, the musical take along toy rewards their effort with short classical melodies. The Carry Along Caterpillar introduces colors in multiple languages for extra delight and discovery. Its Velcro leaf attaches to cribs, carriers, car seats and more. Wherever your baby goes, this caterpillar companion is along for the ride with music and discovery in tow. Dimension (in) 3.5" x 3" x 10"
Rated 3 out of 5 by Ana3089 from Same song over and over again I bought this for my 3 month boy and he loved it.. but after one month usage and taking proper care of it the melodies got stuck and only one melody plays half way.. i expected more from the brand..